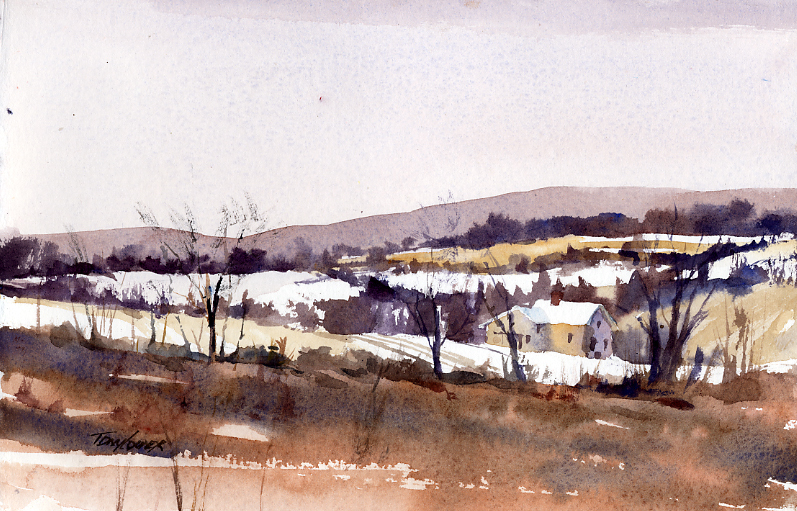 The first painting of a new winter series. This one was done on December 22, 2017 – the first full day of winter. 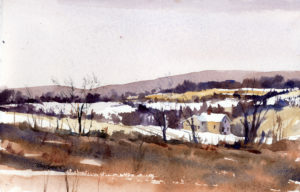 The scene is along Harrington Road in North Bennington – a favorite painting location. Fields showing light snow cover, contrasted against those with the color of tall grasses is an endless attraction for me. On this, the first full day of winter, these familiar fields lay in such contrast. Overall, the scene had warm color with all of the golds and browns in the fields and even the light neutral color of the distant mountain. A fitting scene to start winter in Vermont!